Somerset’s collaborative journey started three months ago, instigated by a group of six primary care leaders determined to connect and create real change across Somerset. The initial phase focused on connection and building trust. A kick-off meeting in a local pub gave everyone the chance to reflect on their motivations in a relaxed and informal environment. The enthusiasm generated from this get-together led to the first wider Connect in January, with everyone inviting a plus-one to join the movement. 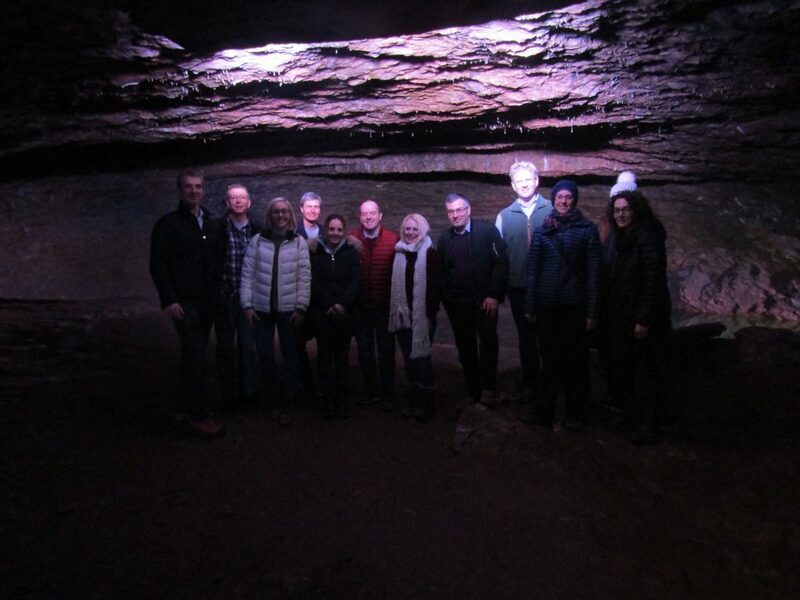 Meeting again this week for a tour of Wookey Hole caves, the group began to explore their personal and professional ‘why’ using generative listening techniques. With weekly phone calls and an active WhatsApp group, the network is small but highly supportive. The next phase will focus on growing the community in an organic way, bringing new leaders on board to create a meaningful and manageable network that can drive real change in primary care. There is no one way to build a community, but we have created a playbook to outline the broad principles of the Collaborate approach and support the development of any local or regional communities. If you would like to find out more, please get in touch on 07725 555 030 / hello@nhscollaborate.org.